Lawn Fawn Baked With Love Lawnscaping Challenge | Stamp Right Up! 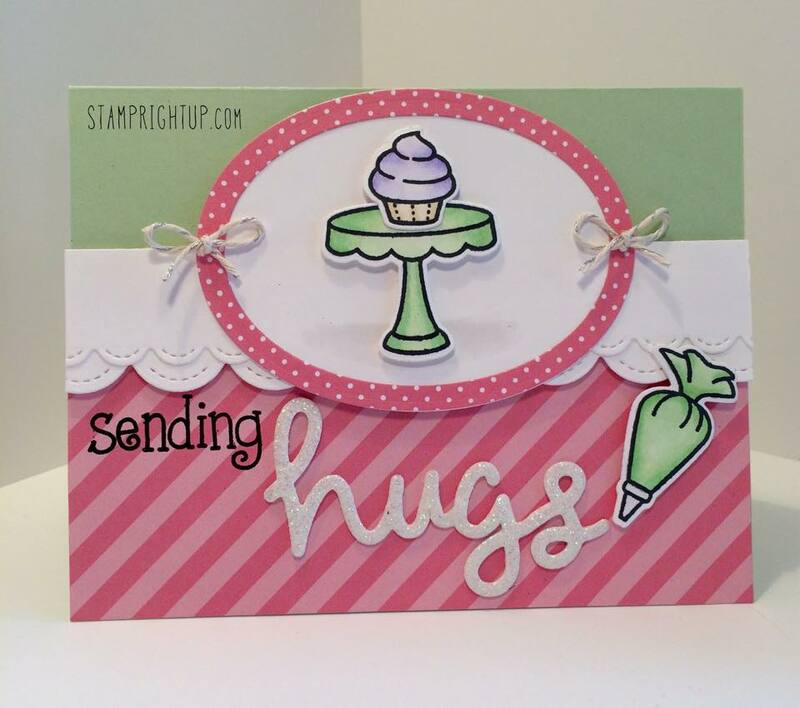 ← FREE STAMPIN UP CANADA WIDE SHIPPING – ENDS TODAY! I have been a fan of Lawn Fawn for many, many years but I have never had the confidence to enter a challenge with my work. So I figured now was as good as time as any to get started! After all, practice makes perfect right? The Lawnscaping challenge is “dimension”: I chose Baked With Love as my primary set for my card. It took me quite a few tries to get it just as I envisioned in my head. The scripty hugs was die cut from glitter fun foam, which I have been using a lot of lately 😛 See end of post for full list of supplies used. I appreciate and welcome comments – thanks for stopping by!